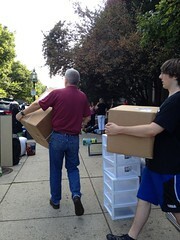 This weekend we deposited Calum at college in Boston. Home is going to be an awful lot quieter now! I couldn’t have been a much more different process from taking Iona to rural upstate New York. 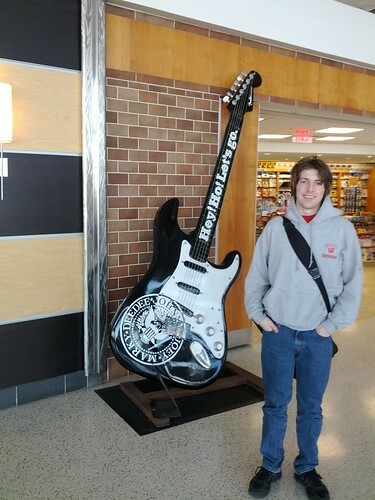 Calum is going to Berklee College of Music in Boston, Masschusetts and it is about as downtown as you can get (right around ther corner from Fenway Park (where I believe they used to play baseball!)). Dropping him off involved double parking while you dumped everything on the sidewalk and then carrying it all upstairs (he is of course on the tope floor). Calum is spending his 18th birthday in Edinburgh with my parents after speding a week with the European Youth Music Week near Birmingham, England. As he wasn’t here, he had to blow out his candle via Skype! 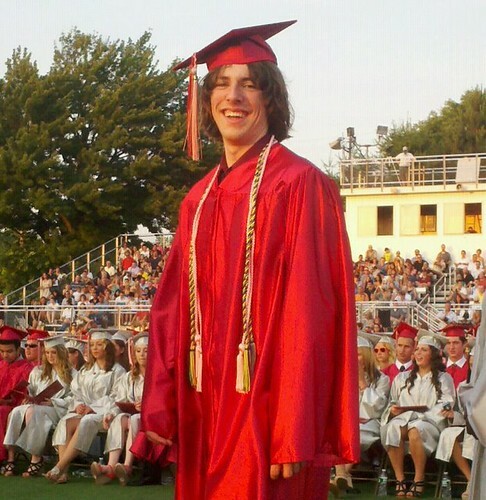 Tonight was Calum’s turn to graduate, this time from Wolcott High School. Before the ceremonies we were treated to a nice concert by the Jazz Band (videos over the weekend) including Calum not only on trumpet, but also on guitar (not at the same time unfortunately). All in all a very fine night for everyone involved. I have had rather a hectic travel schedule recently (my poor excuse for not much blogging)/. This weekend though was awesome, I got to spend it watching (and filming) the Wolcott High School Student Theatre production of Bye Bye Birdie. Here’s a few clips to get you singing and dancing. As always the kids were increadible. Every year I think that they must be losing too much talent, and every year they keep up the standards. If you look very closely you’ll see Calum’s mop of hair and trumpet! By Justin Brockie|2016-11-03T04:23:52-05:00February 26th, 2012|Categories: Calum|Tags: Calum, Ohio, Personal|Comments Off on Hey Ho, Let's go! Calum and I spent the day today in Oberlin, Ohio. It’s quite hard to tell just where the town starts and the college ends. In fact the sign on the way in says that they were founded at the same time. The conservatory folks have been very friendly and tonight Calum is off hanging out with the swim team. 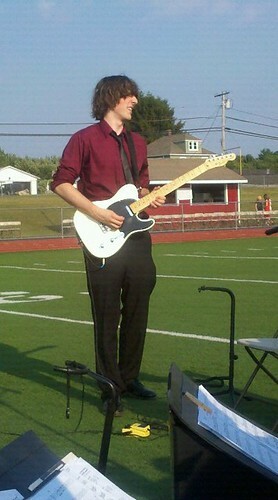 Despite many wonderful things (including a brand new Jazz Band! 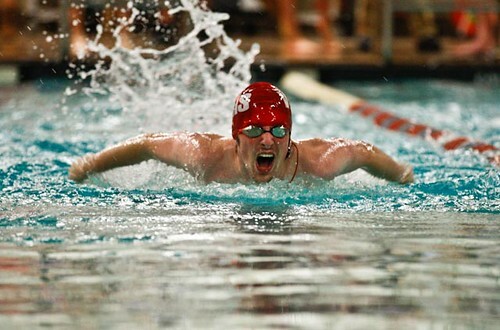 ), Wolcott High School doesn’t have a pool or a Swim Team. 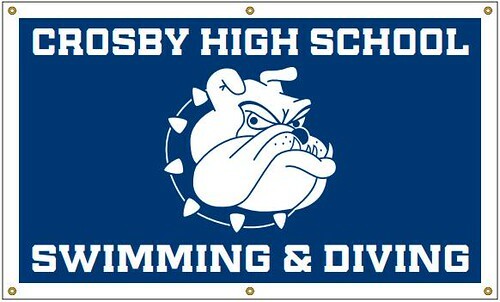 So for the past few years Calum has been swimming with Crosby High School in Waterbury. The coaches and kids at Crosby have been very welcoming and I get the sense that Calum has been able to help out from his end too. They put on a lovely ceremony today with very touching speeches by the swimmers. Enormous thanks to everyone involved. 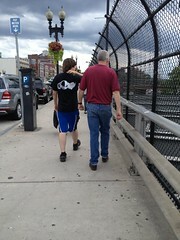 After a long week of discussion and brainstorm, Calum, Asif, Shawon and I headed up to Boston. Asif and Shawon were taking a look around while Calum and I were off to Berklee College of Music to audition. It’s a very cool (and distinctly funky) place. Indeed, today was a very good day! 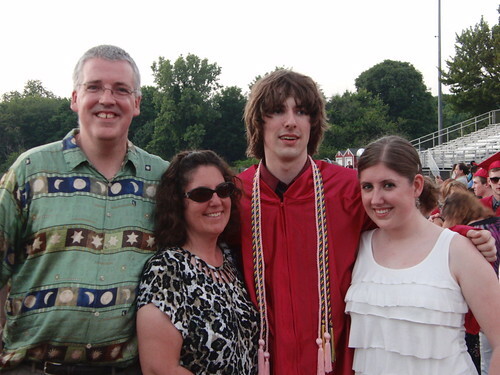 Firstly, Calum got a letter offering him a place to study for a Bachelor of Music in Trumpet Performance at Western Connecticut. Given how much we liked the place we all very excited (the rather generous scholarship offer doesn’t hurt either!). Now when he goes to do his final auditions at a few more schools he can relax knowing he has a place he really wants there in his back pocket.